A little over a year ago I injured my wrist. Up until then my wrists weren’t high on the hierarchy of body parts that merited my attention, but suddenly I was very aware of how often I use them. Do you know how sore it is to turn a key in a lock with a sore wrist? “Ag, let the burglars ma’ just come in.” That’s how sore. Mercifully, that dark time is now behind me. But since then, I’ve been very careful about looking after those little joints between my forearms and my hands. Here are seven strategies I’ve found that work. You warm up your big joints, like your shoulders and hips, so why not your wrists? 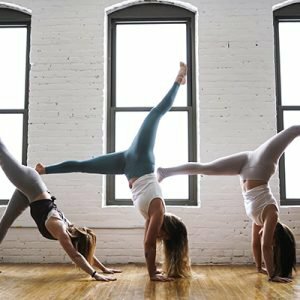 Think about it – they’re tiny joints that have to hold most of your body weight in a push-up and all your body weight in a handstand. Eina! And, FYI: the day I injured my wrist, I skipped my wrist warm-up. Coincidence? You decide. Wrist circles: Clasp your hands in front of you, fingers interlaced. Now make circles with your wrists – 30 in each direction. Hinge: Turn your left hand palm side up. Now, support your forearm with your right hand as you hinge your left hand up and down at the wrist, fingers relaxed. Do 20, then swap hands. Wrist stretches: Get down on all fours, fingers facing forward. Very gently lean your weight slightly into your wrists. 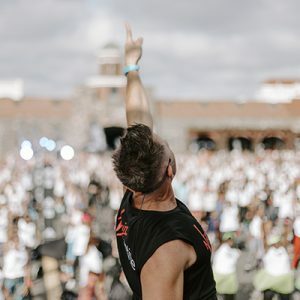 Rock forward and back ten times, sway your body clockwise 10 times, then anticlockwise 10 times. Turn your hands over, so the backs of your hands are on the mat and repeat. Finally, give your hands a little shake out and you’re good to go. When your hand is flat on the ground, the muscles that support your wrist are passive. Clawing the ground with your fingers engages them, spreading the load and giving you more control over how your weight is distributed. It can also help you find your balance in handstands. 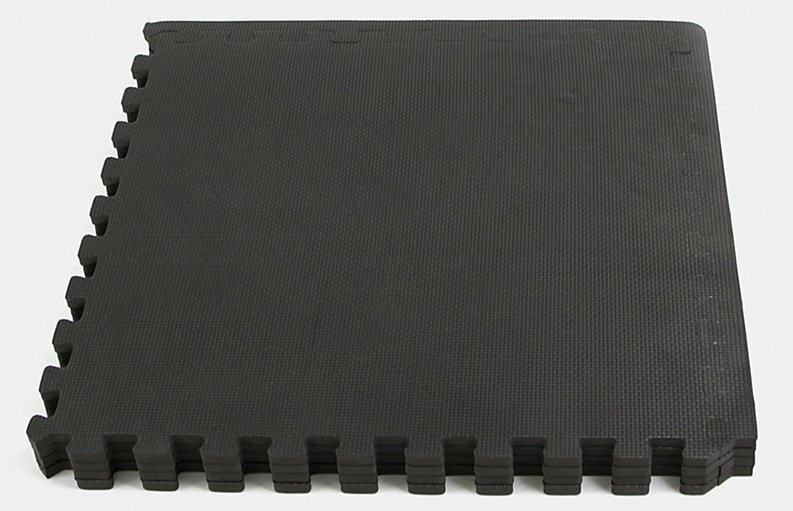 Another way to lessen the pressure on your wrist joints: use a thicker workout mat. Position your hands right at the top of the mat and let your fingers hang over the edge. You may also find the spongy mat cushions your wrists. 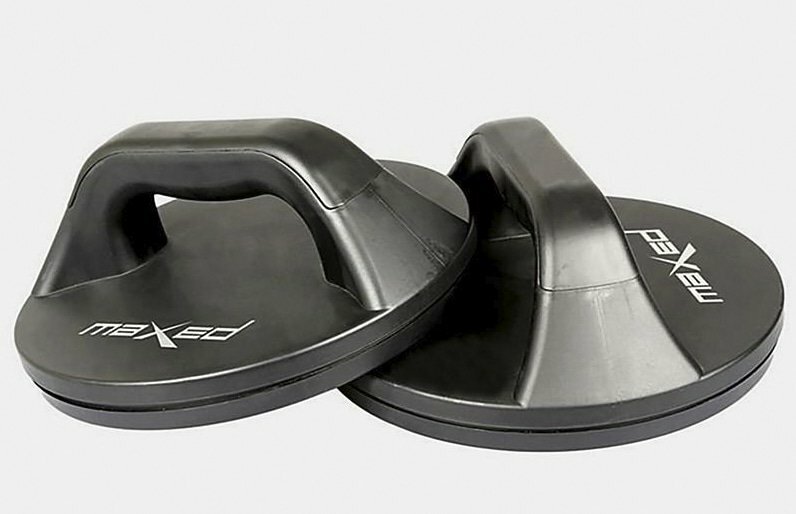 Set these up in your home gym…just be prepared for your dog to think it’s her new bed! While we’re on that subject, check where your fingers are pointing. Some people naturally turn their hands outwards, which can put major strain on your wrist joints. That outward twisting motion already strains them and then you’re adding a load on top of that, with your fingers largely removed from the equation. There are push-up variations that involve different hand positions to target different muscles and increase difficulty. But if your wrists are hurting or you’re just starting out, stick with fingers facing forward. Gripping something was my physio-approved, go-to solution when my wrist was recovering. By keeping your hand and wrist aligned, you’re lessening the pressure on the joint. Plus, the act of gripping is another way to engage those supporting muscles. Use a set of low push-up grips or dumbbells with a flat bottom. Be sure to maintain a solid grip throughout the exercise. 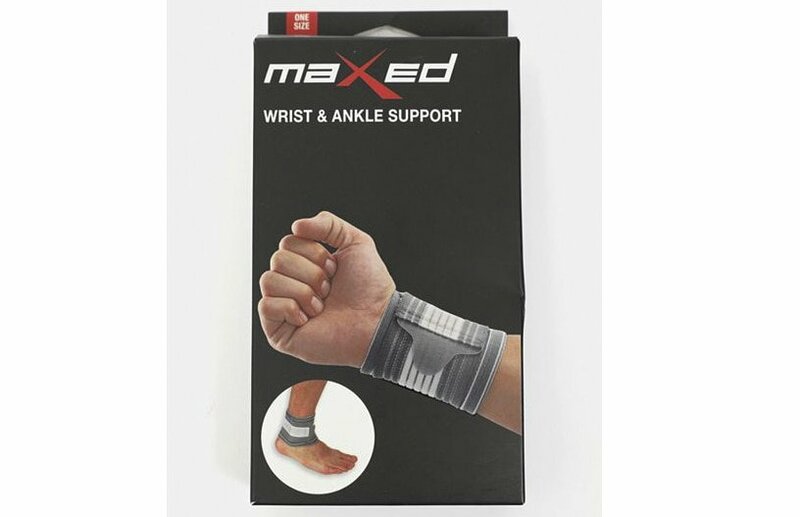 These don’t completely imobolise your wrist like a brace, but they keep it supported, so it’s easier for you to maintain a strong neutral position. When my wrist was recovering, I used mine for every workout – even when I was lifting weights. I still keep them in my gym bag for workouts when I know I’ll be putting a lot of pressure on my wrists. Wrap them tightly…but not so tight that your hands turn blue! Just like you’d stretch your calves after skipping or running, doing the same for your wrists will keep them mobile and less prone to injury and pain. Do these after every set of push-ups or handstands. Also add them to your post-workout stretch routine. Ring finger to wrist: Hold your left hand with your right hand, left palm facing up. Use your right hand to – very gently – stretch the ring finger of your left hand towards your left wrist. Only go as far as you can. Pause, then swap hands. Fingers back: Start with the palm of your left hand facing down. Use your right hand to pull the fingers of your left hand back very gently – don’t strain. Make sure you pull all the fingers back, including the thumb. Pause, then switch hands. Ball: Make a ball with your left hand, palm facing down. Enclose it with your right hand and very gently pull it down toward your wrist. Pause, then swap hands.